So I know a lot of us have a difficult time trying to figure what Halloween costume to choose for our little ones. It’s ironic that for once we wish our young children had an opinion. My solution: A Football Player = Easy. If it’s cold, layer like crazy and they look like they are wearing pads. So easy but so cute. They stay warm and they look great. I just thought there may be a panicking parent out there, so I hope this helps! 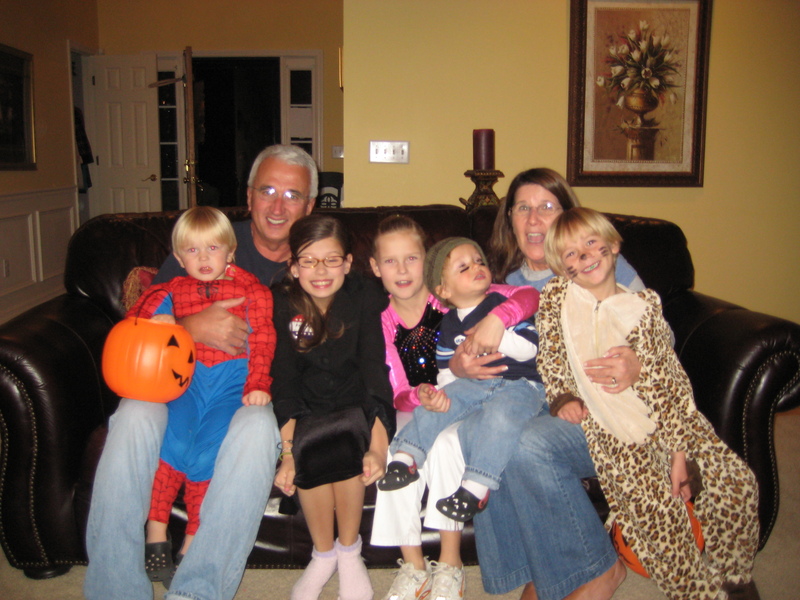 My daughter was Sarah Palin in this picture and her costume was the biggest hit at every house we went to. That was an easy costume too. With such a big family, simple is best. Halloween tradition at the Breland’s – When my kids arrive home from getting all of their candy, they all five go in my closet, (I do not know why my closet is the chosen spot), and trade candy for hours. They also ask me not to eat certain pieces of candy because they know I like candy way too much! Have a safe week. Remember how you felt as a kid when you were a kid this time of year? Get your sneakers on and get ready to run.